The newest segment of Road 6, the Cross-Israel Highway, is set to open on Friday. The newest segment is 27 kilometers long, and will extend the road to the Lehavim junction, south of Rahat and several kilometers north of Be'er Sheva, said Transport Minister Yisrael Katz. In addition, Katz announced, the rest of the road will be completed by the end of the year. A northern spur of the road is still under construction, as is a further extension south. When completed, drivers will be able to travel on a single continuous roadway from north of Akko to Dimona. 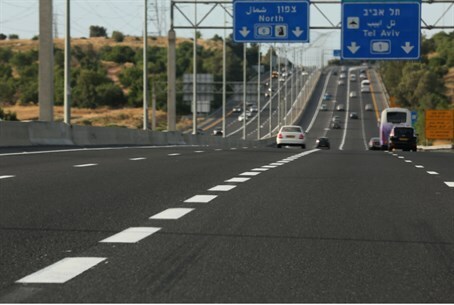 Out of all of the dozens, perhaps hundreds, of programs and projects to “open up” Israel's northern and southern peripheries, encouraging families to settle in the open spaces of the deep Negev and upper Galilee, the one that has arguably been the most successful has been the Cross-Israel Highway, also known as Road 6, say many economists. While environmentalists have objected to the road, which is six lanes in some of its segments, because it has been built in areas that were until now considered rural, real estate values in towns with access to the road show that demand has shot up in many places. According to many economists, Road 6 has been the most effective engine of peripheral growth in Israel, putting Tel Aviv and its suburbs within commuting distance of far-flung areas that were formerly considered too far off the beaten path for most families to consider, due to a lack of professional, educational and cultural opportunities. The newest extension goes deep into “Bedouin country,” and is likely to encourage more people to move to the area north of Be'er Sheva, where a string of Jewish settlements, including towns and moshavim, “compete” with Rahat and numerous Bedouin villages – many of them illegal – in the area. Israeli governments have long sought ways to encourage Jews to settle in this area, and Road 6, along with the extension of Israel Railways to Be'ersheva, has fueled numerous housing projects in the settlements. With the extension of Road 6, officials hope to further lessen commuting time to the center of the country for residents of these towns, as well as for other towns in the “outer ring” of the Be'er Sheva metropolitan area.